Why the Z-80’s data pins are scrambled « Adafruit Industries – Makers, hackers, artists, designers and engineers! Ken Shirriff’s blog: Why the Z-80’s data pins are scrambled. 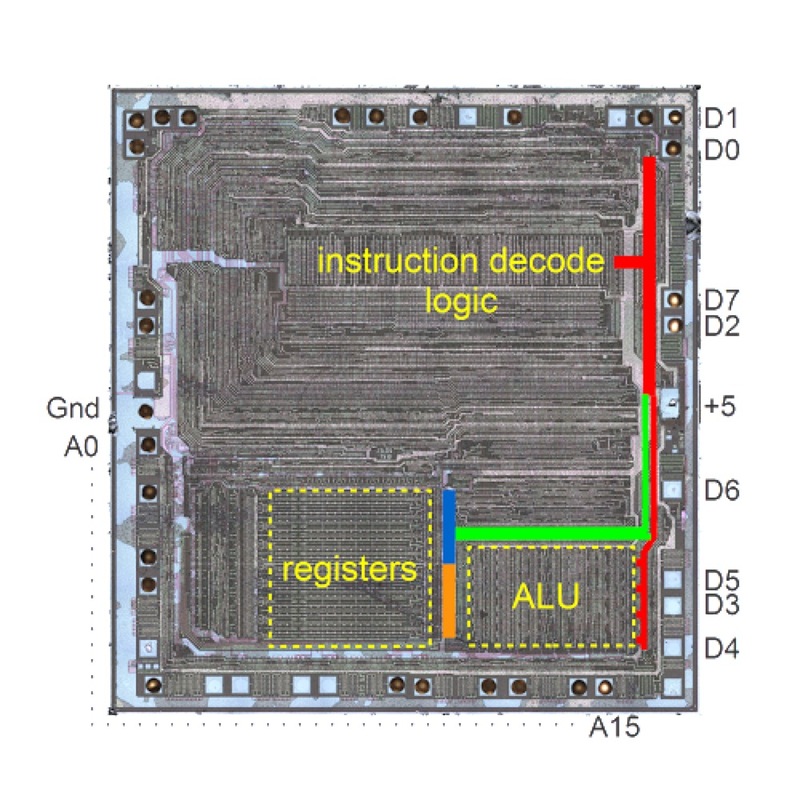 If you look closely at the datasheet for a Z-80 chip, you’ll notice the data pins are in a random-looking order. The address pins (A) are nicely arranged in order counterclockwise from 0 to 15, but the data pins (D) are all shuffled around. After studying the internals of the chip, I have a hypothesis to explain this.